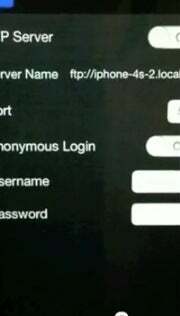 iPhone App Sneaks in Tethering. Act Fast! A new cheap tethering app has returned to the iPhone App Store, requiring no monthly fee to use -- at least until it gets banished by Apple. The $2 app, called Quasidisk, is intended to be a file manager and viewer, but with just a bit of trickery, the app can turn the iPhone into wireless 3G modem for laptops at no extra charge. A YouTube video showing how to set up the tethering was first spotted by 9to5Mac. To use QuasiDisk as a tethering app, you must first create an ad hoc network on your laptop. (Microsoft has a guide for Windows, and Apple has a how-to for Macs.) Before connecting the iPhone to the network, first start QuasiDisk's FTP server on port 5100. As you're doing this, write down the full server address that appears above the port number. Once the FTP server is set up, you must connect the laptop via proxy. On a Mac, go to Settings>Network>Advanced>Proxies. I'm not 100 percent sure how to set this up in Windows, but I believe you must go to Internet Properties>Connections>LAN Settings>Check “Use a proxy server”>Advanced. From these menus, you can enter the address you copied down above for both the HTTP and Socks fields, then enter 5050 for the Socks port, and 6666 for the HTTP port. The app should now be feeding the iPhone's 3G connection to the laptop. The standard disclaimer applies: Tethering without the authorization of wireless carriers is against the rules. Some carriers, such as AT&T, have been cracking down on tethering and automatically switching offenders over to more expensive plans. Use apps like QuasiDisk at your own risk. And of course, if you're even remotely interested in trying this out, you might want to do it soon, before Apple figures this out and takes down the app.